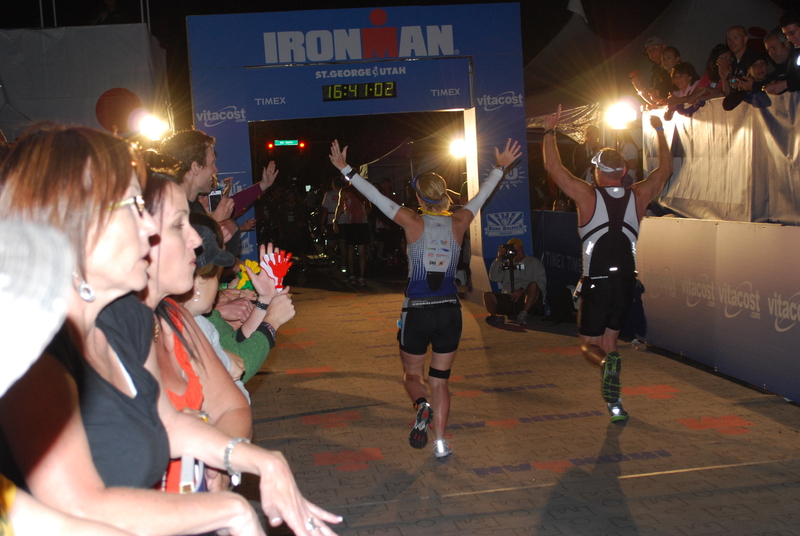 It has been just over three weeks since I fulfilled my goal of becoming an Ironman. 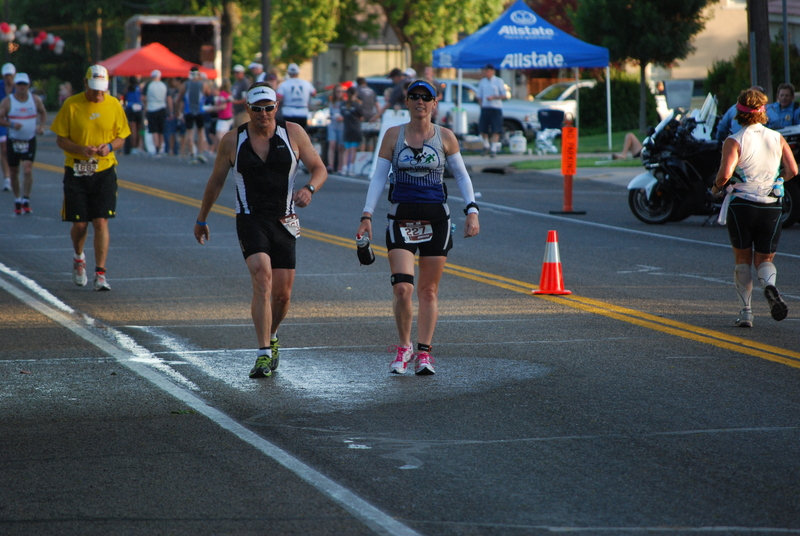 I am still reveling in my finish but I can’t help but dissect some of the things that went wrong or I would do different. There really isn’t much I would do differently on race day except I could have attacked the run a bit more aggressively. I knew I would finish once I started the run so I took it super easy. I think I could have done it about 45 minutes faster but I was so afraid of my IT band blowing up that I walked the majority of it. 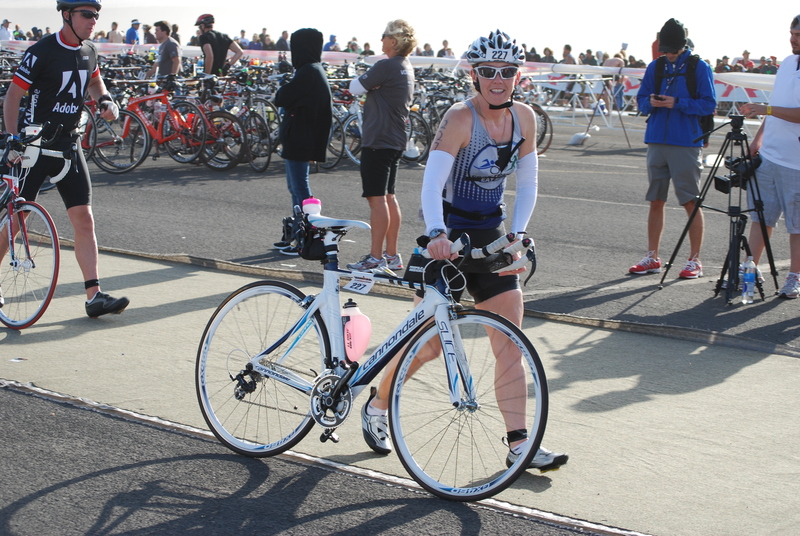 Once I made it off the bike, finishing before midnight was my only goal. When it comes to training I should have spent WAY more time on my bike. 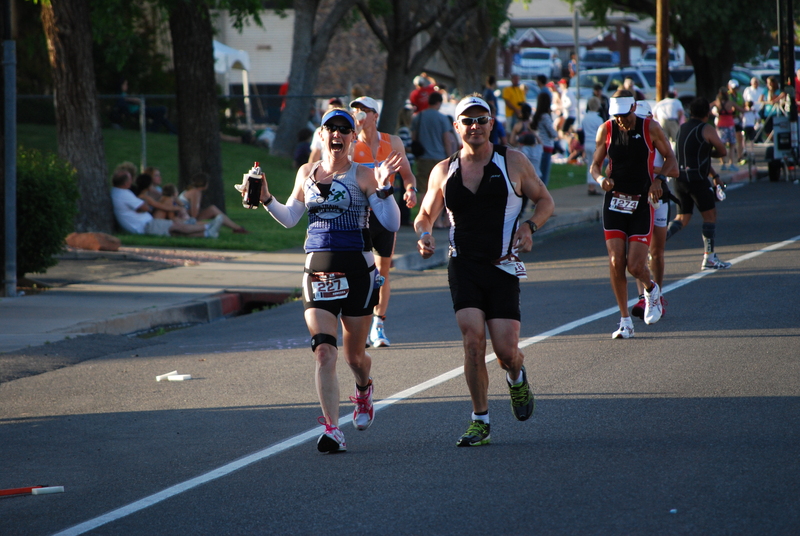 I didn’t put in near enough time or miles during my training and that was very evident on the course. 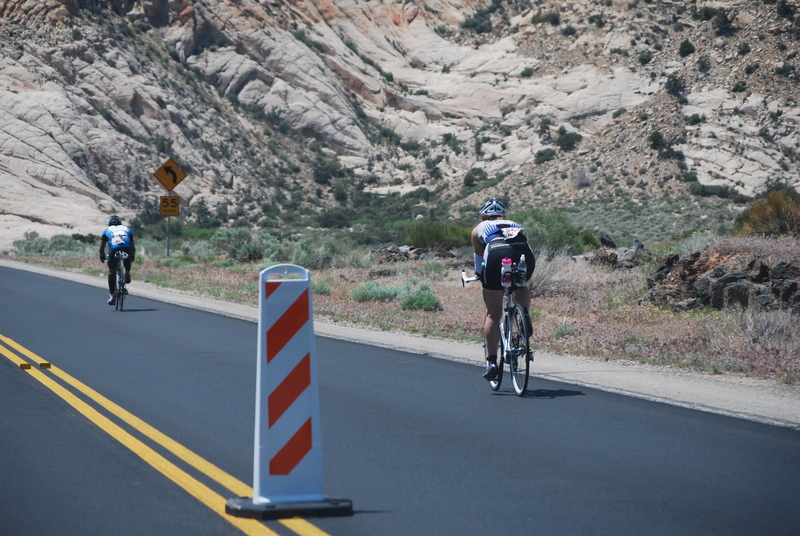 The conditions were unbelievably tough that day, but I should have been better on the bike. 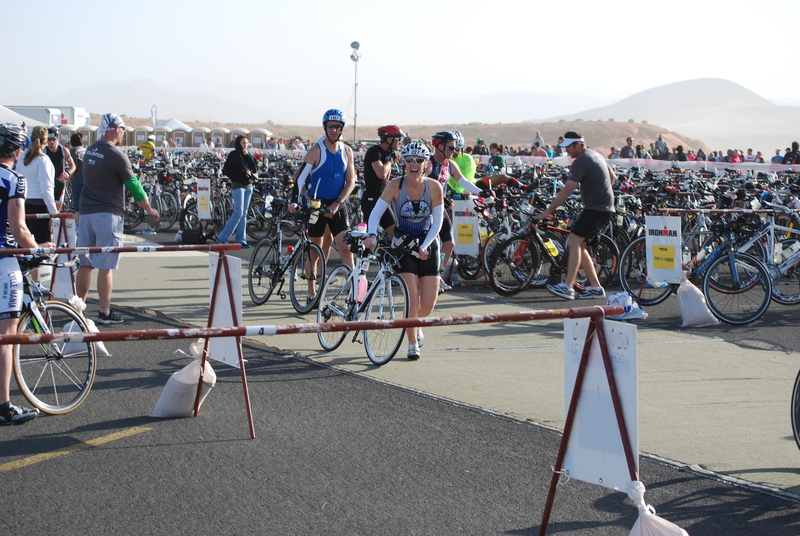 Biking is my weakness and it showed in my training and performance on that day. I would have happily spent more time running but I was just too injured to do it. I could have done more elliptical training to make up for it but gym time was very hard to work into my schedule. I also wish I would have done more structured swim workouts. My swimming has recently been much slower than it was about a year ago and that is due to a decrease in volume as well as not swimming with a team. 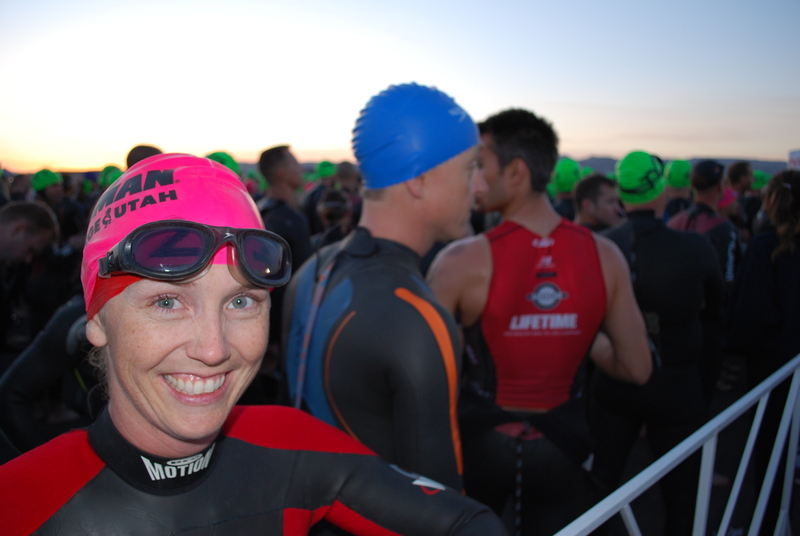 The recent acquisition of a book of swim workouts for Triathletes will help with this. And the last thing I would do differently for training is add some weight training and MORE stretching. 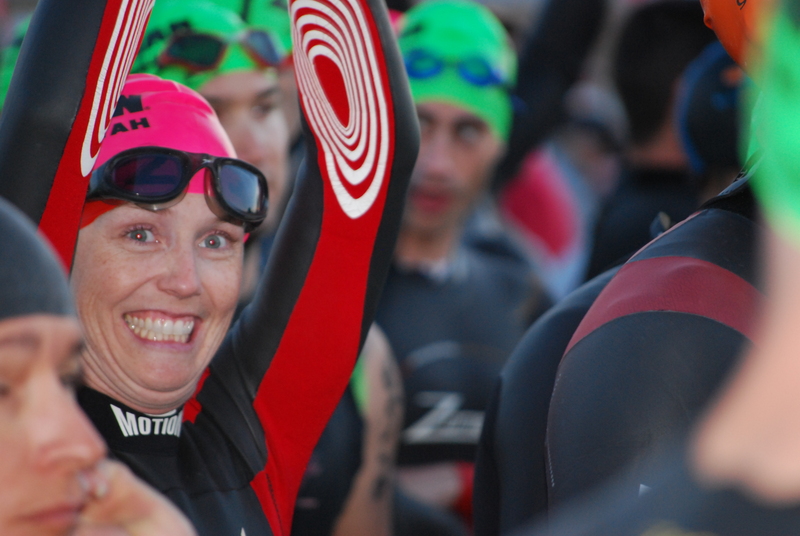 I already have my next Ironman picked out and hopefully I will get in. 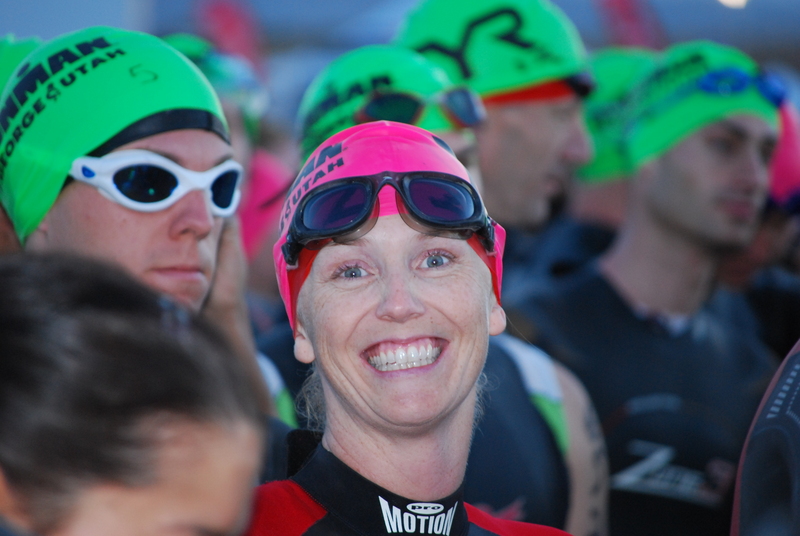 I am hoping to do Ironman Canada in 2013. I am even taking a trip out there this summer to check out the course! But my first priority right now is to get healthy and get my running back to where I was last fall. Thanks to the advice of someone close I will be training for some shorter running races this summer. I am going to try my hand at 10Ks and maybe even improving my half marathon time. I want to be really healthy as I go into training for Boston in 2013. I would LOVE to PR in Boston and run sub 3:30! I don’t often find myself without a training plan but at the moment I do. I am enjoying taking a break from working towards a specific race. I think my body and mind really need the break. 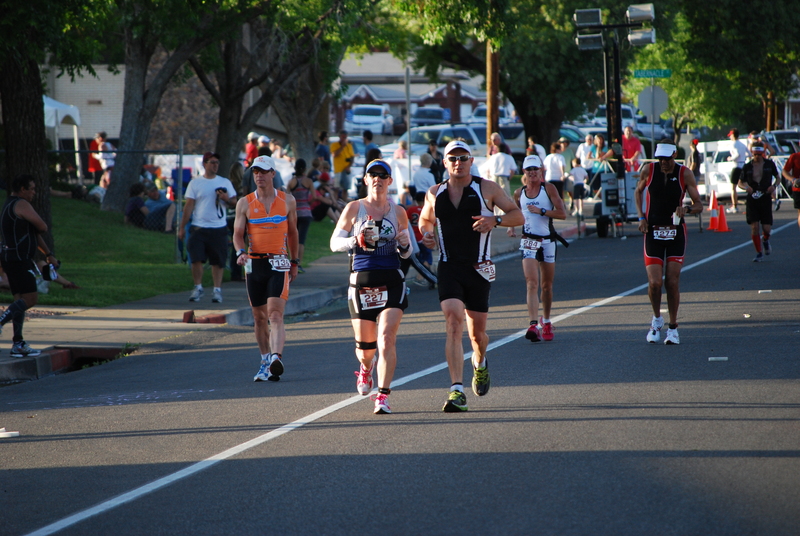 I am hoping that after this week I can get a plan together to prep for Vineman 70.3 in mid July. My original goal was to try and do 5:10 or faster. 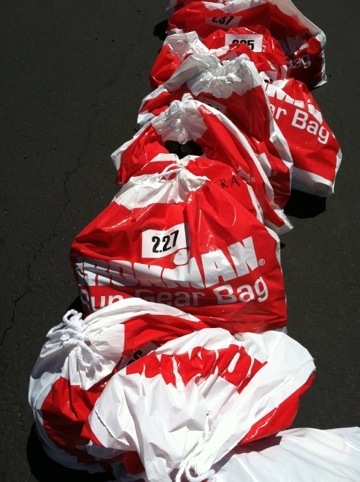 My running is not where it needs to be to get that done so right now Vineman will just be for fun! 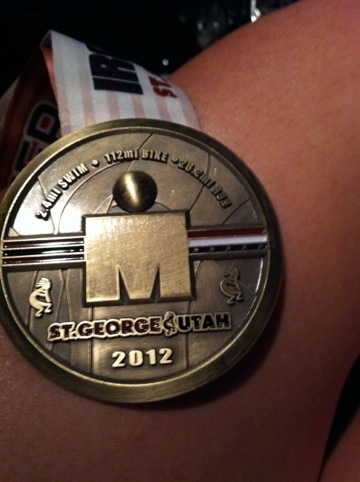 So for now I will enjoy the perma-grin I still have from Ironman St. George…maybe now is a good time for a new tattoo! 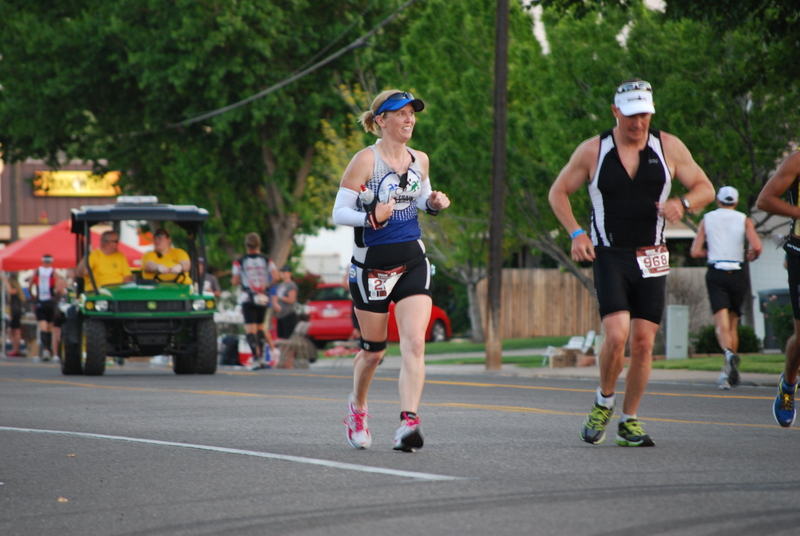 I was lucky enough to have a chance to chat with Ray from Geeks in Running Shoes last night about my Ironman St. George experience. Give it a listen! 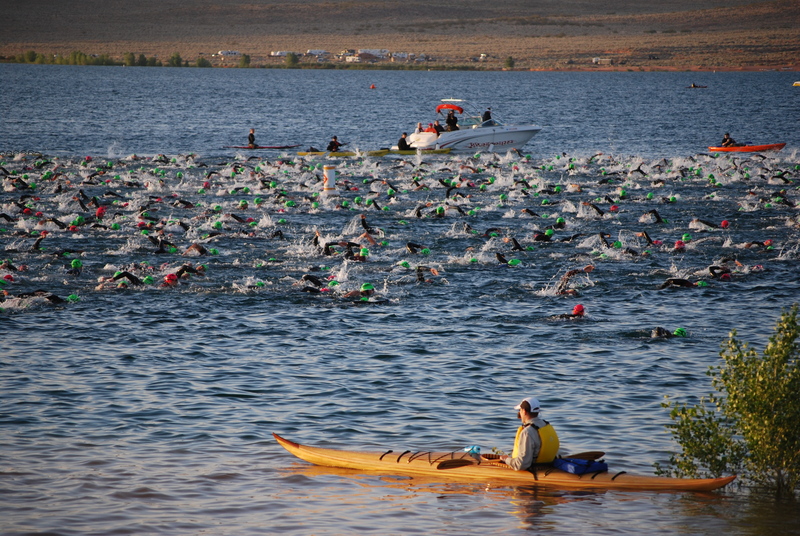 Over the past week there has been a considerable amount of web traffic posted about the swim conditions at this year’s Ironman St. George and how it appears that a considerable number of athletes were pulled from the water. One of the more interesting dialogues that has been occurring related to the question of whether athletes who cannot swim a pace faster than 2:00 per 100 yards should even attempt an iron distance race swim of 2.4 miles, with the main premise being that they shouldn’t. 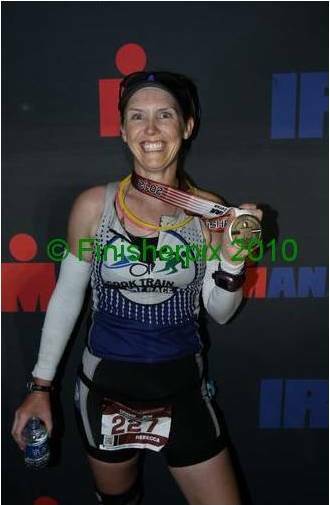 Now that the Ironman is done I need to take a moment to thank the people in my life (in no particular order) that made it possible. It may be an individual event but there is no way I did this on my own. 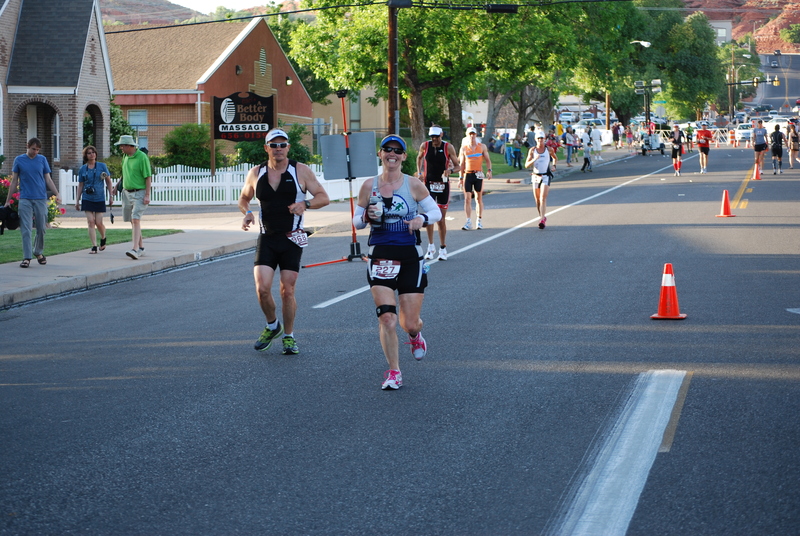 If it wasn’t for the support of these people I would never have made it across that finish line in St. George. Jason from Cook Train Eat Race sponsored my entry into this event and I am so grateful for his belief in my abilities. He stepped up to the plate and helped me achieve something I had dreamed about. He was always there to cheer me on when things got tough. 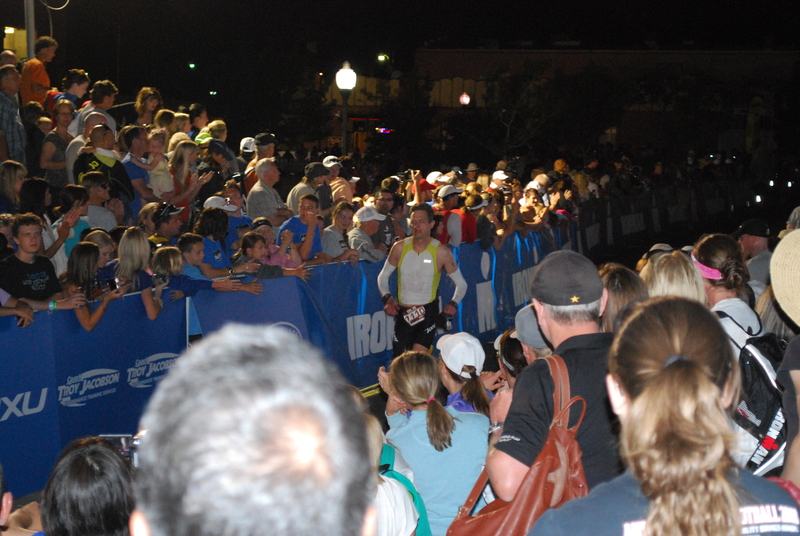 I can’t wait to follow him on his Ironman quest and even better I get to cheer him on in Arizona!!! My family was amazing. I know it has been a very difficult year for many people in my family yet everyone continued to support me while I was training some pretty crazy hours. My mom even had to drive out in a crazy rain storm to Palm Springs to pick me up after I crashed my bike. My kids were amazing! I hope one day they realize what I did (I think they kind of get it) and are inspired to do something like this as well. There is no way I could have done this without their love and support. I am looking forward to have a little more time to spend with them now that this is done. I made some amazing friends through this whole process. One place I feel I found the most supportive friends were through Dailymile. If you are going to embark on training for something like this, you need people around you that understand what you are trying to do. So many of my non-training friends just don’t understand why I would do half the stuff I would. On Dailymile I found continued support at every point in my training. At times I felt like I had 350+ cheerleaders that would celebrate my successes and cheer me up when things weren’t going my way. 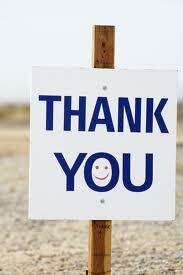 There are a few specific people out there that really stepped up to the plate and helped me in ways that astounded me. They know who they are and I only hope I can return the favor and help them achieve their goals some day. 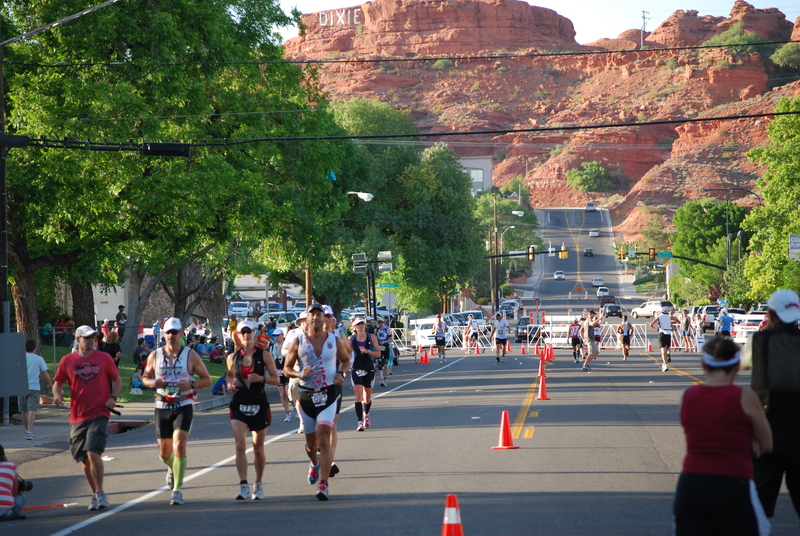 The last weather report we got for race day predicted a perfect day for the event. Low to mid 80s and a slight wind. That was not the case at all. 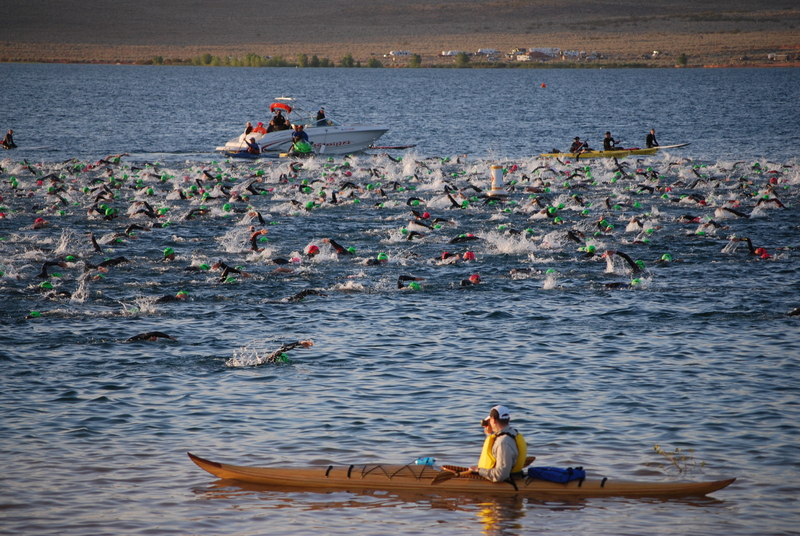 The swim started off fine. I was worried about the mass start because I have never done that before. 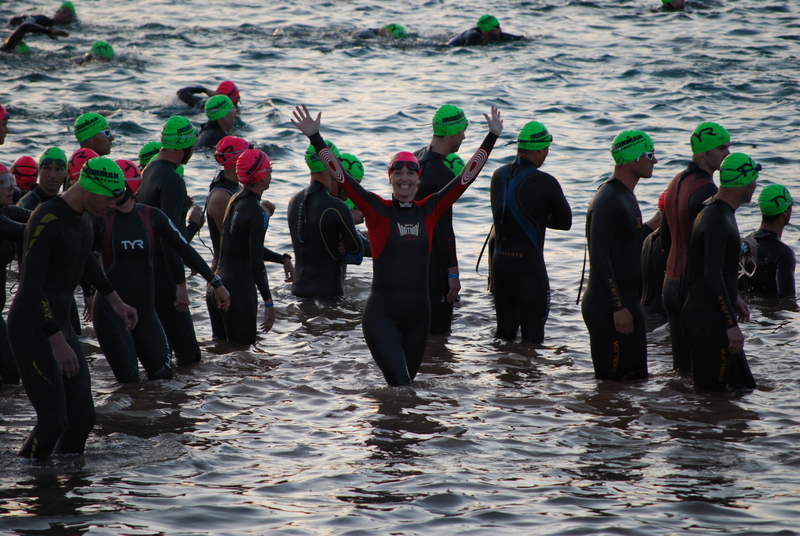 I didn’t have too much trouble finding open water to swim in and didn’t get whacked around too bad. We all has no idea what was coming our way. The race was essentially a big rectangle with three 90 degree left turns. When we made it to the first turn we were greeted with waves that were (IMHO) 2-4 feet high and coming at us from our left. All I could think of was we had another left hand turn to make that would put us straight into the waves. Once that happened all hell broke loose. The kayaks couldn’t stay up, the buoys were pulled out of wack, and there were people everywhere. I realized immediately that fighting through the waves was just going to wear me out so I relaxed and worked with them to just get the swim done. I had to look up often because everybody was so spread out and the buoys were no where near straight. Amazingly I made it out of the water in 1:33:03; rumor has it that over 200 others missed the cut off or were pulled from the water. 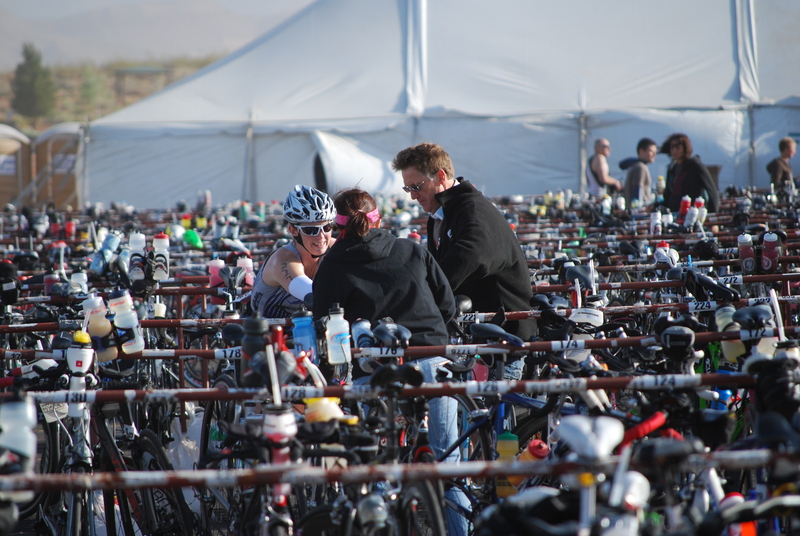 I got into the transition tent where the AMAZING volunteers got me situated to get on my bike. 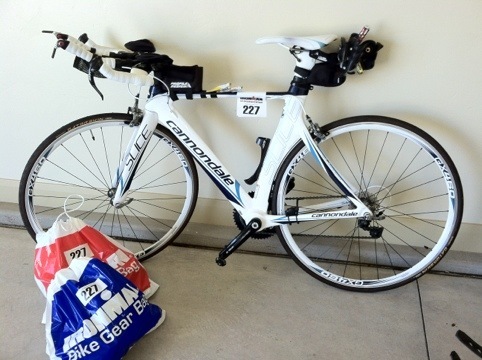 I ran out, found my bike, made a few last minute adjustments and I was on my way. As soon as we got out of the reservoir I realized the wind was blowing everywhere. The bike loop consists of three parts; the ride back to town, then two loops that are fairly hilly. If it hadn’t been for the wind the ride would have been fine; but the wind was so bad that the ride felt like 80 miles uphill! I made it though the first loop and was re-energized by the descent back to start the second loop but as soon as I started the second loop I realized the wind hadn’t stopped. 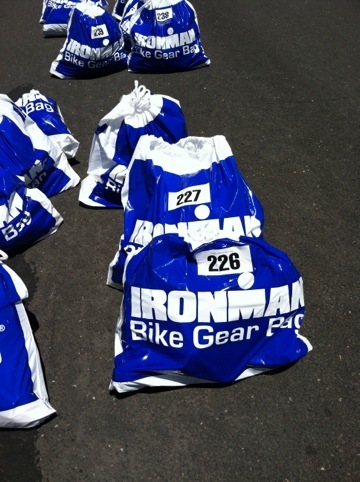 At mile 70 I started to worry about making the cutoffs for the bike. I hadn’t paid close attention to what they were because I hadn’t expected to ride so slowly (Average less that 13 mph for the whole ride!). 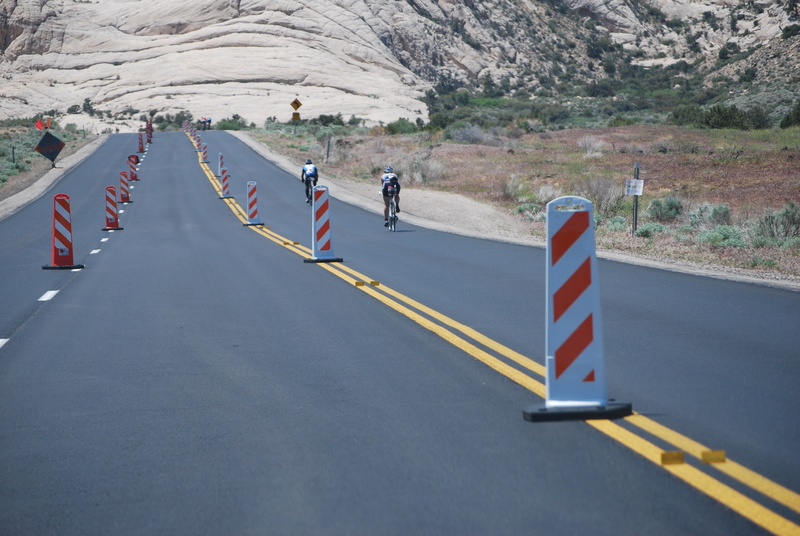 The first cut off I was in danger of missing was at mile 93ish after the really big hill affectionately know as “the Wall”. I made it through that one with about 2 minutes to spare. 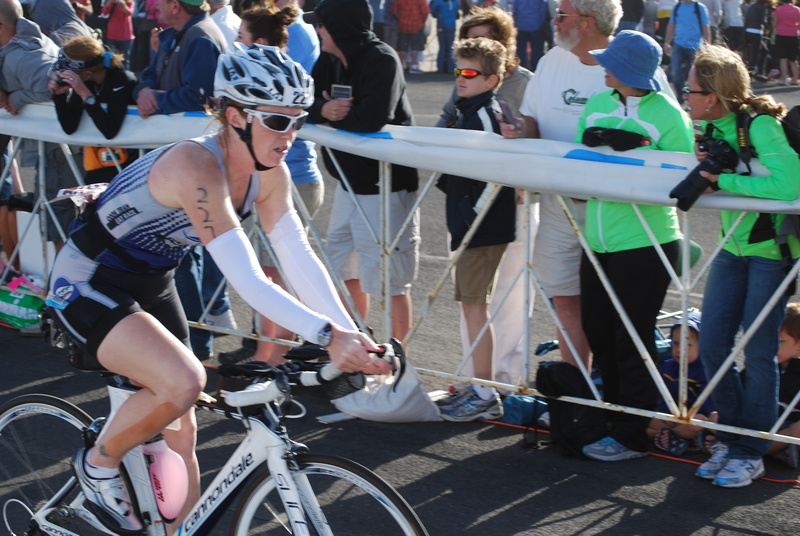 The next cut off was getting out of T2 by 5:30. At this point I wanted to get pulled off my bike. I couldn’t imagine how I was going to run after the day I had so far and I wanted to be pulled rather than quit. I rode the last 10 miles in tears. Amazingly I made it in and out with 90 seconds to spare! As soon as I started running I was thanking my lucky stars that I hadn’t quit! I felt great! My legs were a little tired and my skin was hurting from the sun burn I had been getting all day but overall I knew I could finish the marathon and was going to be an Ironman by the end of the day. I could have cared less about my time. I just wanted to finish. I met a guy, Chris, around mile 8 and we totally hit it off. He was the perfect running partner for the race. We chatted for the whole run (almost 5 hours together) and had a blast! 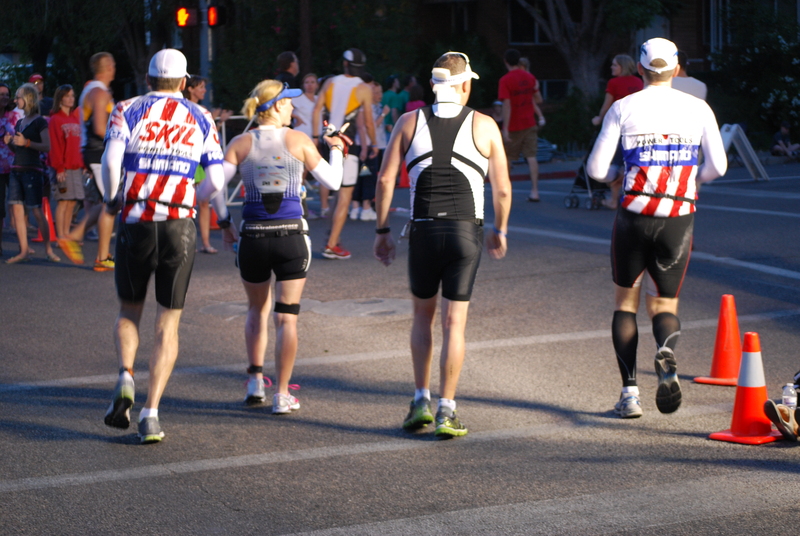 I realized at this point that even though triathlon is an individual sport, when you get to the last group of runners together in an Ironman it becomes one big team; everybody was helping everybody to keep going. We did our best to walk the ups and run the downs (something I learned from trail running). The run is three loops which was cool because you had a great chance to see all your friends that were running; and if you were a spectator you could catch your family and friends very easily. We did pretty well for the first two laps but we walked most of the last one. We were both starting to fall apart a little by 10:30 (we had been moving since 7:00 AM). 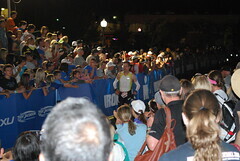 As we got closer to the finish you could hear the crowd going crazy; Mike Riley was doing an awesome job MC’ing the finishers. In just a few minutes he would be calling my name!!! 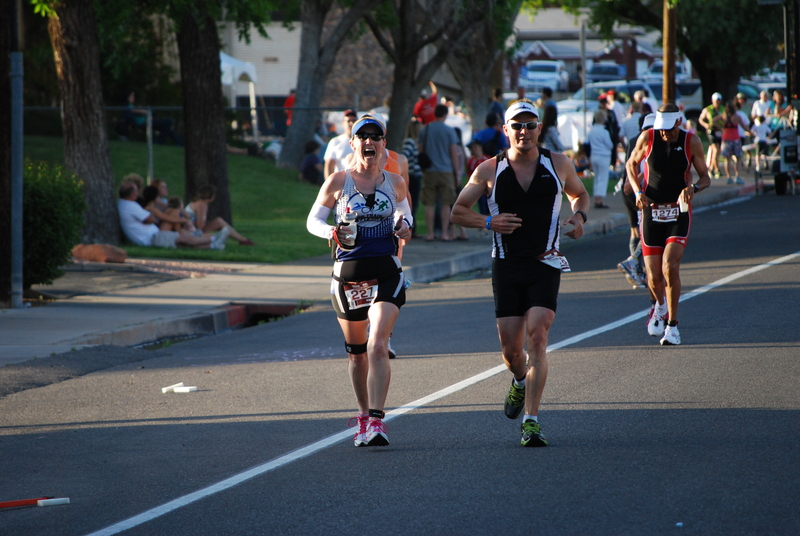 Chris and I wanted to finish together so we ran down the chute and enjoyed the glory. 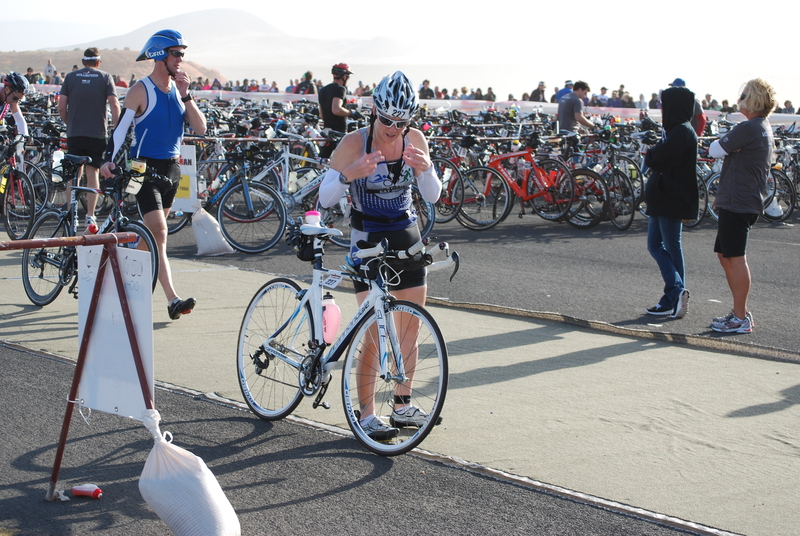 Apparently the male pro winner, Ben Hoffman, put my medal on me; I had no idea at the time! Overall the day was incredibly hard. I knew going into it that there would be a time during the race that I would want to quit and that was going to be part of the race. It was how I would deal with that moment that would determine the out come of the day. I am so glad my body wouldn’t let me quit and neither would anyone else out there. The support on the course was beyond anything I have ever experienced before both from the volunteers and my friends. The words “thank you” are not enough to express how thankful I am for the support I got on race day and leading up to the race. I forgot to mention my times for the race and I think I will post later with more information but just so you know, I was the last finisher in my age group and I finished 1010 out of 1026 finishers…I have never been so happy to be last! 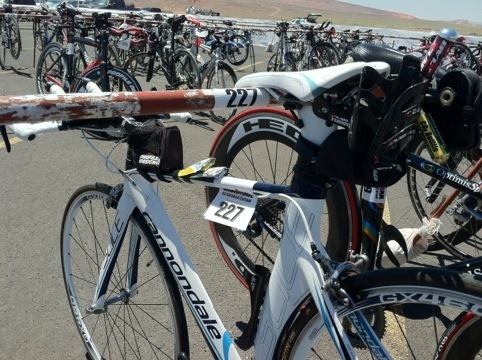 Here is the link to the bike data from my Garmin. My battery died during the run.